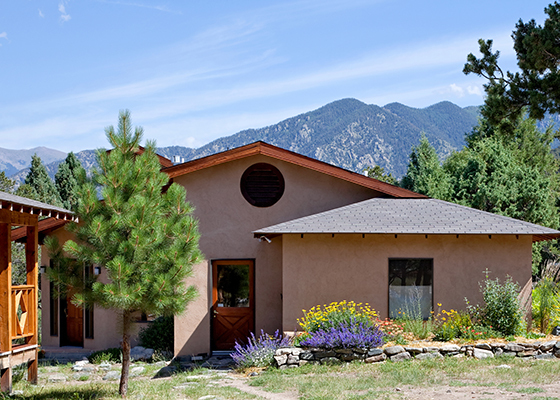 From mid-July through September, Crestone Mountain Zen Center opens its facilities for group retreats. 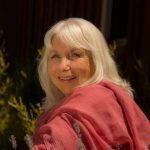 We have been hosting meditation, yoga, music, dance, bodywork, wilderness, writing, and psychotherapy groups for more than twenty years. Many retreat leaders have found that the daily meditation and the monastic atmosphere creates a unique container that enhances their group activity. Group participants are always welcome to join the monastic community for morning and evening meditation. Use the image slider below to learn more about the facilities available to your group: dining hall, meditation hall, practice space, garden and lawn. 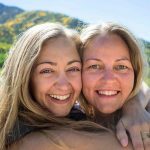 The Crestone Mountain Zen Center has supported Clear Light Sangha in such a deep and profound way. They hold the container of silence with maturity and respect. The food is delicious and impeccably prepared. The lodging is clean, comfortable, and welcoming. The Dome, with its sacred geometry, is supportive and inspiring. It is our favorite retreat facility. The cuisine is dazzling, and soon we comprehend that we are eating, at 8400 ft. in a remote corner of Colorado, the kind of vegetarian food that makes people line up on sidewalks in New York and San Francisco. Many of the vegetables and fruits are from the greenhouse and garden, an oasis of green with bright flowers around the house that sparkle like jewels. Each vegetarian meal, prepared by the monks, is a work of art, almost too beautiful to eat. 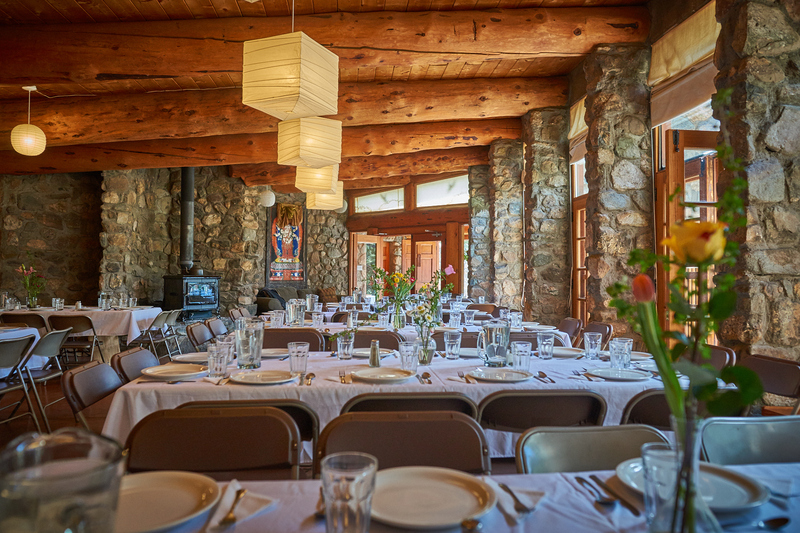 I have led a number of retreats in the USA and abroad, and for me, Crestone remains my favorite. It is not one thing, it is the package. I describe it to students as a taste of Japanese architecture and cleanliness in the Colorado mountains with an energetic touch of Nepal or Tibet. It is Colorado, but it is more. Meditation and Mother Nature wrapped up in one. Add the high quality of food and care taken by the Zen Center to ensure a great stay, and you can't go wrong. CMZC is such a beautiful and magical place to connect and ground oneself. The space creates an environment that nurtures and inspires. The residents are so welcoming and kind, and the meals are some of the best you can find anywhere. It's exactly what we were looking for in a retreat center. Our beautiful dining hall seats up to 30 people at one long table or up to 80 people at separate tables. Meals during the Group Guest Season are served buffet style. Alternatively, you can step out of the French doors and eat in the garden. Groups can also use this room as a meeting space. 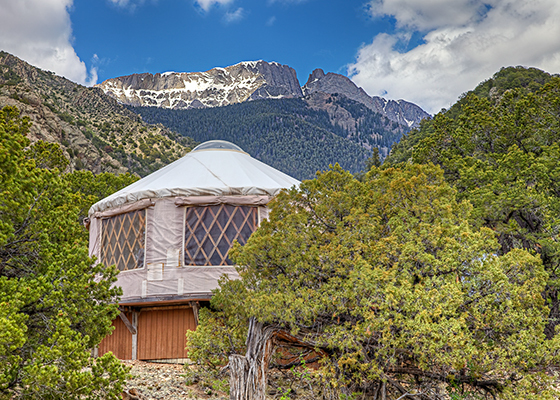 Originally conceived as an interfaith sanctuary, the 2,800 square foot Dome is a uniquely powerful space for group retreat activities. 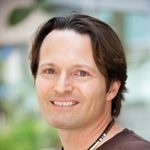 You can bring in yoga mats, meditation cushions, chairs, and music equipment to support your practice activities. The Dome can be heated for an additional fee. 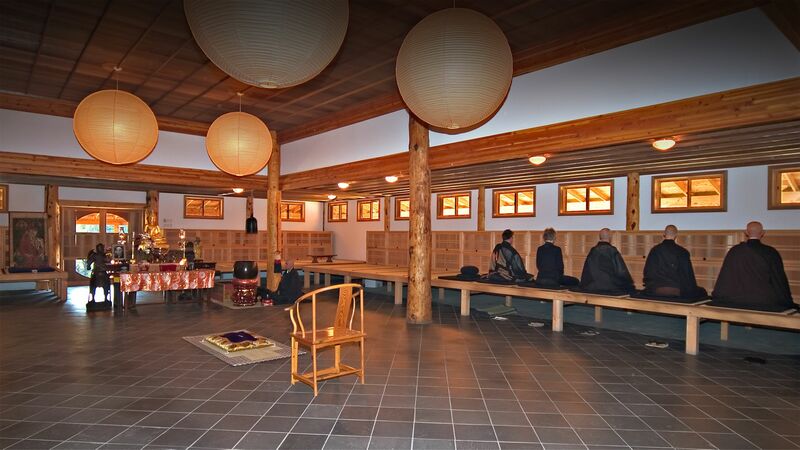 Our traditional Zen meditation hall can be used for silent sitting meditation. It has space for up to 40 persons on the platform. Chairs can be brought in for larger groups or those unable to sit cross-legged. Join the daily residential morning and evening meditation or create your own schedule. 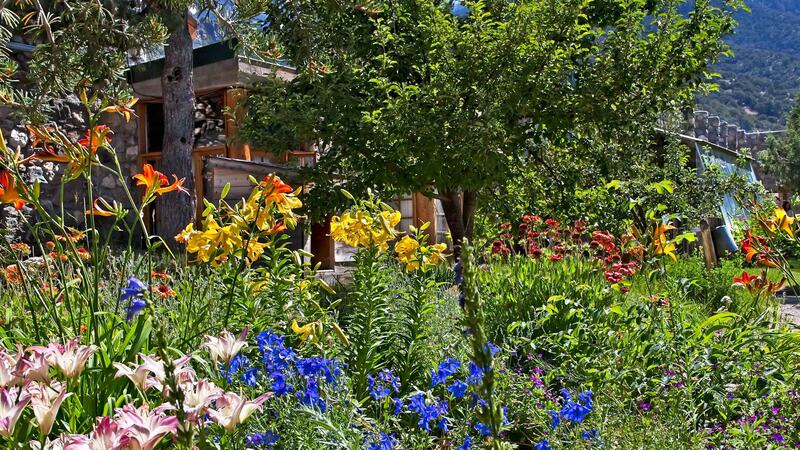 The front yard lawn surrounded by vegetable and flower gardens is an oasis in our high alpine desert climate. It's a great place to relax and socialize in the sun or in the shade of two old juniper trees. Many groups take their meals outside while enjoying expansive views of the valley. Upon request and an additional fee, you may use our Tea House for private meetings or interviews with group participants. The building is surrounded by an enclosed rock garden. The interior has a high-end finish in the style of a Japanese Tea House with tatami mats and a Buddhist altar. We are known for our fine and inventive vegetarian cuisine. The kitchen is the heart of our community. Our meals, prepared three times a day from fresh ingredients, express our commitment to care and nourishment. 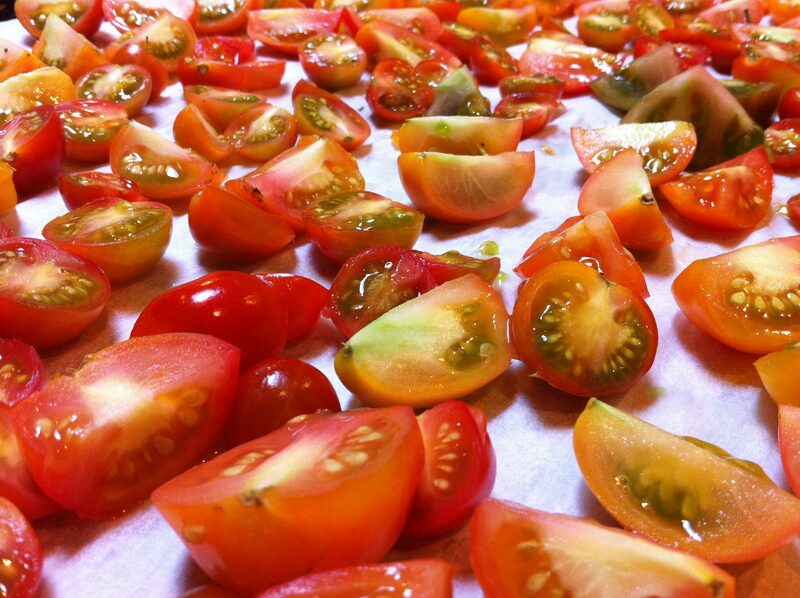 It’s simple, unpretentious, healthy, delicious food. We accommodate usual dietary restrictions. The Guest House is a spacious building with a quiet atmosphere in the center of the campus. 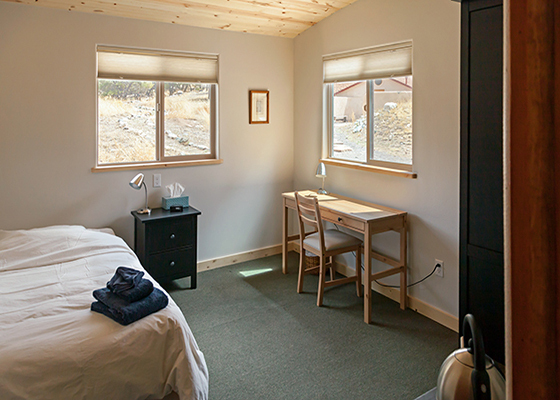 The five private Guest House rooms are the largest accommodations we offer. The Hillside Cabin is a guest favorite. It is located on the west side of the campus overlooking the San Luis Valley. Perks include a full bathroom and kitchenette. 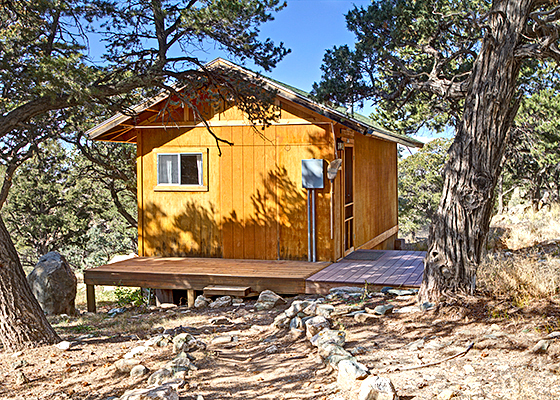 The Young Pine Hut is a cozy rustic two-story log cabin for one person. Upstairs is a sitting area with a low desk. From there a ladder leads to the bed on the lower floor. The Studio, formerly the work space of a resident potter, was recently remodeled. 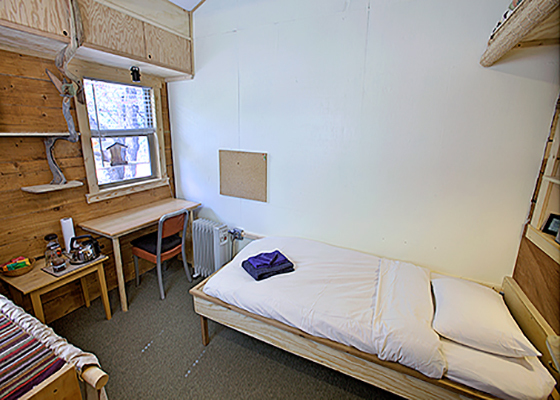 It has three single rooms, each furnished with a desk, tea station and wardrobe. 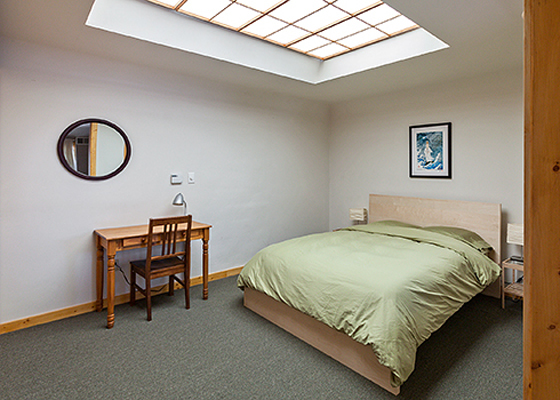 The Skylight Room is a spacious room with a separate entrance in the center of campus. It has a queen bed and features a large skylight with a handmade shoji screen. The quaint Corner Room is tucked into a log extension of the Studio, which was recently remodeled. A former resident and woodworker built custom furnishings for this space. 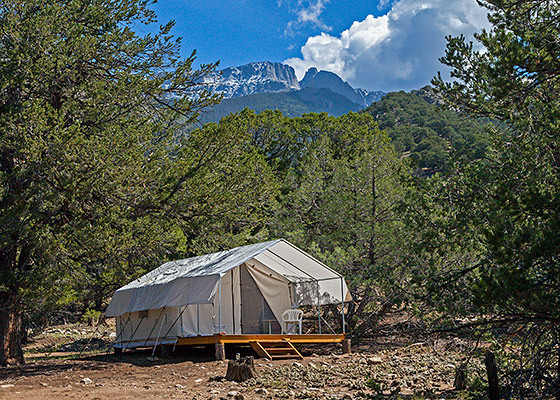 The Yurt is located on the outskirts of our campus with views of the local 14er peaks. It has comfortable beds for one or two persons, a deck, bookshelves, and a skylight. The Platform Tent has room for one or two persons. 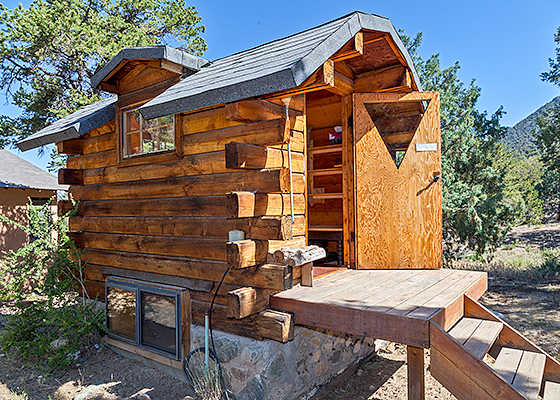 It has a deck, two single beds, tables, bookshelf, canvas shelves, and hooks for clothing – and great views of the local 14ers. The campground is located in a beautiful flat sandy area. 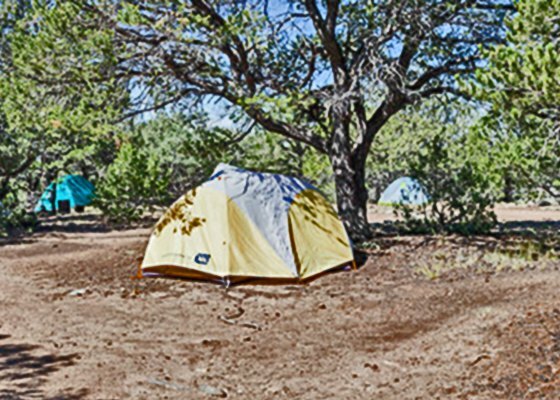 There are 10 campsites tucked into the piñon-juniper forest. Bathrooms are a 3-minute walk away.